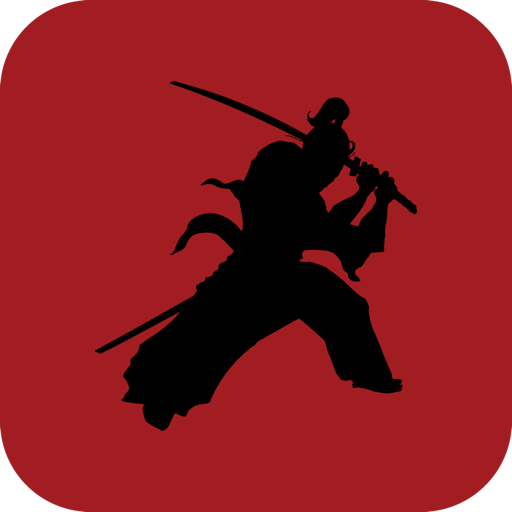 Use our app to create your custom Katana or any other samurai swords, download now and enjoy a 3D experience creating your Katana with full control and huge variety of options, modifications and enhancement for your blade. 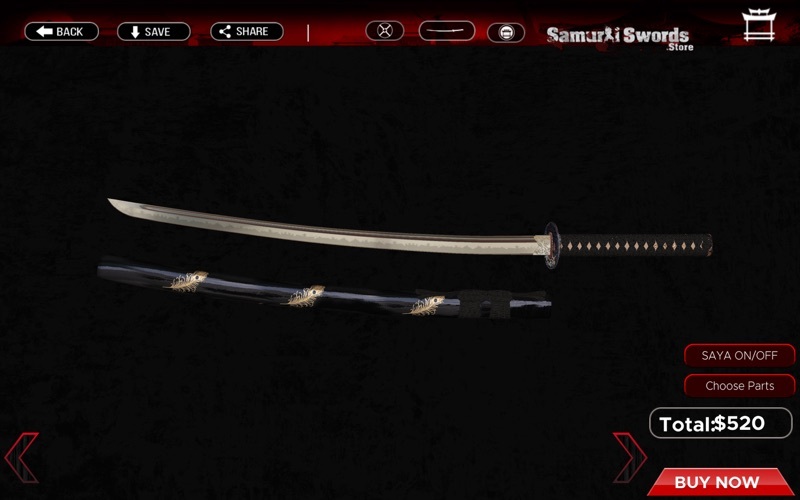 once ready you can simply purchase it through our system, and our master swordmaker will start working on your blade with high attention to details and customization options you have chosen. 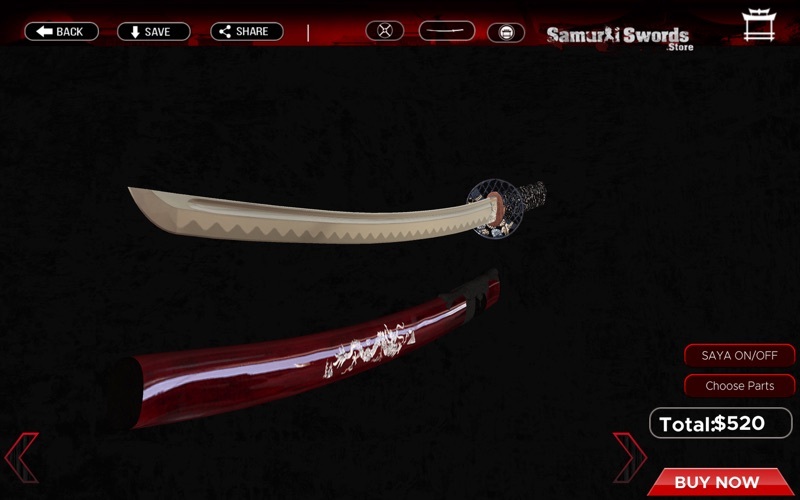 - Beautiful 3D Graphics based on real, beautiful and detailed models..
We offer a large variety of steel types, all of our swords are full tang and can be either ordered non-sharp, sharp or razor sharp, you can choose the steel types from various carbon contents, such as 1060 carbon steel, 1095 carbon steel, 9260 Spring steel and T10 tool steel. Your blade can be folded to create thousands of layers and a grain pattern on the steel, it can also be clay tempered (differentially hardened) to achieve an authentic hamon line of your choice. 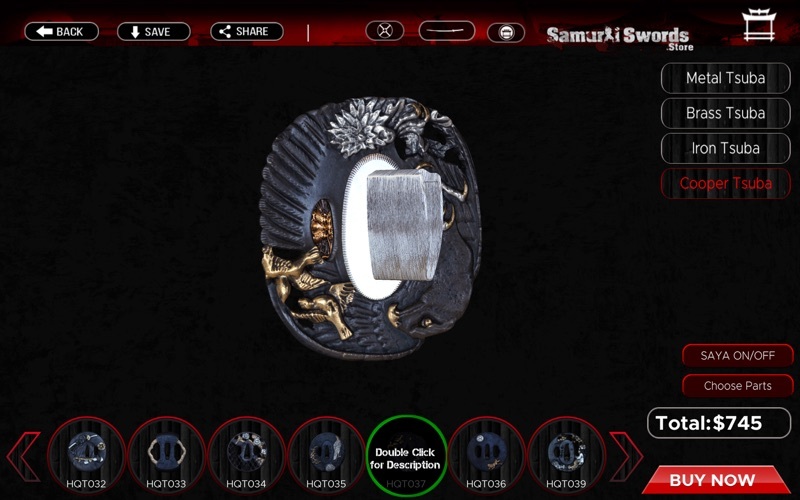 Beside the blade, you can choose from hundreds of fittings, which includes beautiful designs of Tsuba (Handguard), Habaki, Seppa, Fuchi, Kashira and Menuki. Featuring animal designs, warriors, nature, mythological creatures and a lot more, all hand crafted from your choice of quality materials. The Tsuka Ito is the handle wrap of the Samurai sword, a wood handle covering the Nakago with rayskin samegawa and ito wrap of different colors and materials of your choice, either in traditional style wrap or battle style wrap. 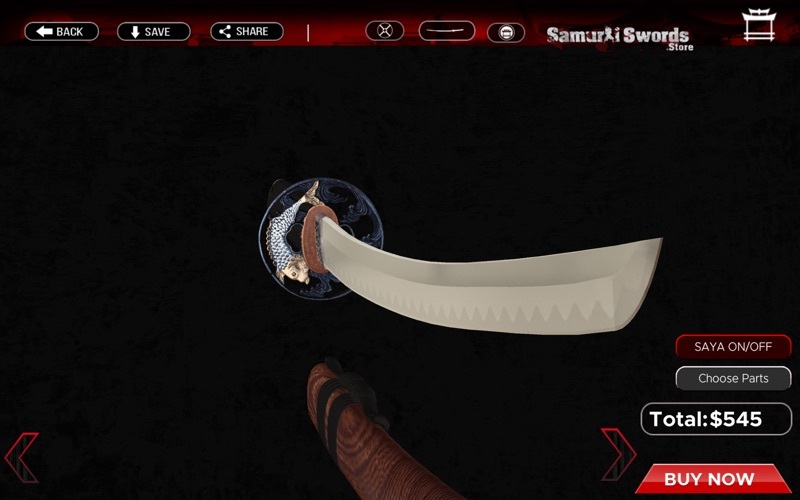 The Saya is an important part of all Samurai swords, it is the scabbard that is used both to secure the blade and allow fast drawing of the sword by a skilled swordsman, Our collection has variety of materials and colors for your Saya, all are hand crafted and perfectly made to fit with your blade. 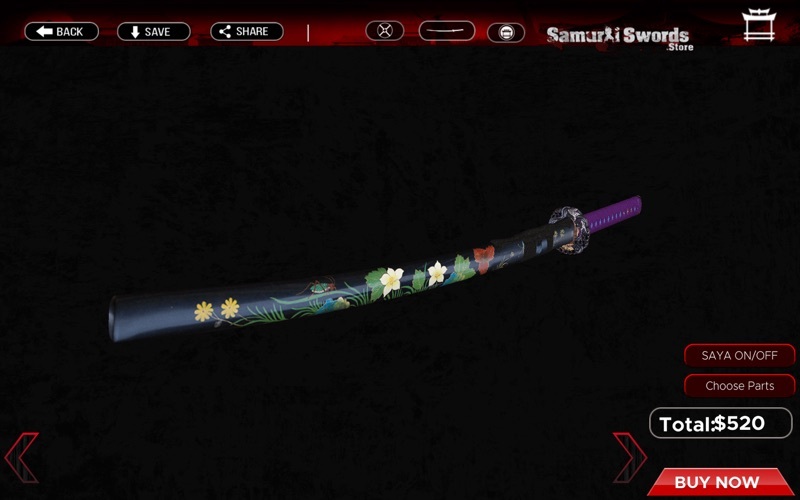 To make your sword truly unique, you can choose to enhance it, by selecting some of our unique features like blade with engraved text or image, different polishing styles and even colored blades that has been naturally dyed with acid. Aside from the blade you can also choose from our selection of accessories which includes bags, stands and boxes to display your sword with or carry it around. Tanto - Short blade for one hand wielding.